The phablet scene is getting crowded, is there room for a new contender? With Samsung taking things to the edge again with the new, bigger Galaxy S6 Edge+, do the other phablets on the market have cause for concern? We've put them head -to-head in our latest T3 Smackdown to find out. There's no Samsung Galaxy Note Edge this year, but in its place we've got the Samsung Galaxy S6 Edge+, a supersized version of the Samsung Galaxy S6 Edge. Its curves might set it apart but this is a phablet through and through, so how does it stack up to kings of the category, like the stylish iPhone 6 Plus, the enormous Nexus 6 and the innovative LG G4? We've put these super phones in a four-way T3 Smackdown to find out. 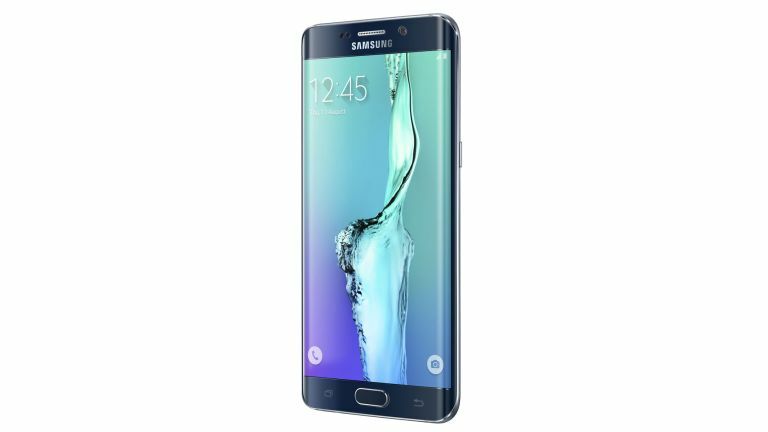 The Samsung Galaxy S6 Edge+ takes everything we loved about the Samsung Galaxy S6 Edge and makes it bigger. There's its metal frame, glass back, slim 6.9mm thick build, lightweight 153g construction and of course its eye-catching curved screen. All of which makes for a design that's not just premium, but also unique. If any phone can top the S6 Edge+ in the design stakes it's the iPhone 6 Plus. At 7.1mm thick it's almost as slim and with a sumptuous metal body it certainly looks the part of a flagship. Yet despite being smaller than Samsung's phone the iPhone 6 Plus is actually heavier at 172g. The design of the Nexus 6 isn't in the same league, but it's far from bad, with a metal frame and a gently curved, albeit plain and plastic, back. It's a chunky 10.1mm at its thickest point and at 184g it's anything but light. To say the LG G4 has a divisive design would probably be kind, as you have a choice of either cheap plastic or leather. The latter, while a bit different from the norm, is also underwhelming, as it's stretched thin and has none of the allure of glass or metal. The big feature of the Samsung Galaxy S6 Edge+ is obviously its big and vibrant 5.7-inch 1440 x 2560 curved Super AMOLED screen. It's also got a 16MP camera with optical image stabilisation and 4K video support plus a 5MP front-facing snapper. There's just a 3000 mAh battery tucked away inside, but it supports both wireless and fast charging and Samsung's speedy fingerprint scanner makes a return. The iPhone 6 Plus has a smaller 5.5-inch 1080 x 1920 display, but it's still fairly sharp and sports natural colours. Like the Samsung Galaxy S6 Edge+ it has a fingerprint scanner built in and it has an 8MP rear camera and a 1.2MP front-facing one. Those camera specs might not sound special but it's strong in use and its 2915mAh battery can see it comfortably through a day. The Nexus 6 has a massive 5.96-inch 1440 x 2560 screen, so if you think bigger is better this is the phone for you. It also has a sizeable 3220mAh battery and a solid 13MP camera with optical image stabilisation on the back and a 2MP snapper on the front. The LG G4 has a relatively small 5.5-inch display just like the iPhone 6 Plus, though it's sharper at 1440 x 2560. It sports a feature-packed 16MP camera, complete with optical image stabilisation and a laser autofocus, while there's a generous 8MP camera strapped to the front. The 3000mAh battery is a match for the Samsung Galaxy S6 Edge+ and doesn't give it amazing life. An octa-core Exynos processor clocked at up to 2.1GHz and coupled with 4GB of RAM makes the Samsung Galaxy S6 Edge+ a real beast. In fact it arguably has all its rivals beat for sheer power. The iPhone 6 Plus for example has just a 1.4GHz dual-core Apple A8 processor and 1GB of RAM, while the Nexus 6 has a 2.7GHz quad-core Snapdragon 805 processor and 3GB of RAM and even the recent LG G4 has just a 1.82GHz hexa-core Snapdragon 808 processor and 3GB of RAM. They're all powerful phones but the Samsung Galaxy S6 Edge+ should have enough horsepower to leave its rivals in the dust. The Samsung Galaxy S6 Edge+ runs Android 5.1 overlaid with TouchWiz. It's a much better interface than it once was and it's aided by the curved screen, which provides shortcuts to favourite apps and contacts. The iPhone 6 Plus runs iOS 8.4, which is arguably still the slickest and most intuitive smartphone interface around, though stock Android certainly gives it a run for its money. Speaking of stock Android, that's exactly what you get with the Nexus 6. It's a clean, minimalist interface and it's first in line for Android updates too. The LG G4 plants LG's Optimus UX on top of Android 5.1 and while it includes various new features and widgets they don't add a vast amount to the experience of using the phone. There's a huge number of phablets to choose from now and the LG G4, Nexus 6 and iPhone 6 Plus all provide stiff competition, but debatably the Samsung Galaxy S6 Edge+ has them beat. Its screen gives it a level of innovation that they all lack and it's a true powerhouse too, with few compromises in specs, though the small battery is a bit of a worry. The iPhone 6 Plus is certainly a worthy rival, especially for anyone who wants a slightly smaller phone. It's every bit as premium and it provides the polished experience you expect from Apple. If you want a true tablet substitute then the Nexus 6 is still hard to beat. Not only is it massive but it's got a great display, a big battery and an intuitive interface. The LG G4 feels a little lacking in many ways, thanks largely to a questionable design and disappointing battery, but its camera is top flight, there's no shortage of power and it has a great display. In short you can't go wrong with any of them, but if you want the best you arguably want the Samsung Galaxy S6 Edge+.